Al Shaikh Dawakhana & Pansar Store is located on College Road, Rawalpindi. It sells all kind of herbs and herbal medicines. 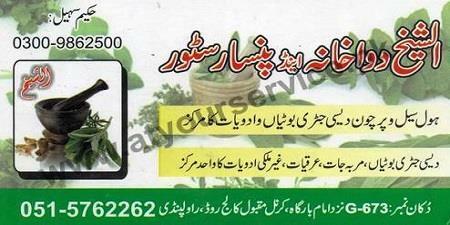 Unani medical treatment is also provided by a qualified hakeem.